Now that there’s a touch of chill on the night breeze, my thoughts turn to steadying puddings for approaching autumnal afternoons. 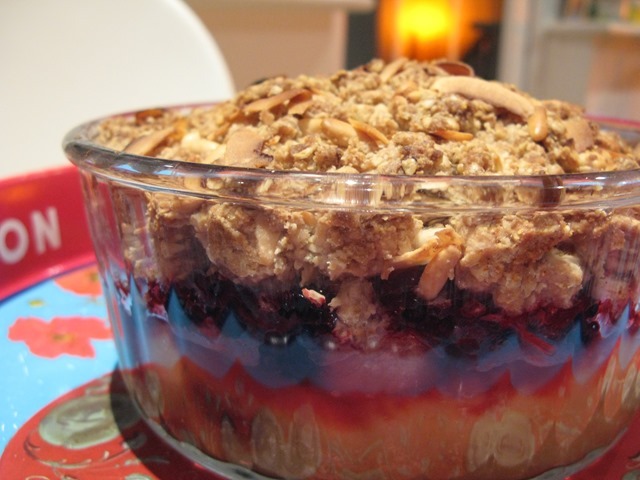 I am an absolute whore for fruit crumbles, but ONLY if there is enough of the satisfying topping. So often I have been saddened by meagre bowls of stewed fruit covered in thin crusts served in so-called gastro pubs that I have been forced to pay a supplement for extra custard to make up for it. Another sin by many establishments is not to add enough custard or cream, serving it in a tiny accompanying jug. So prissy. Just stop it. 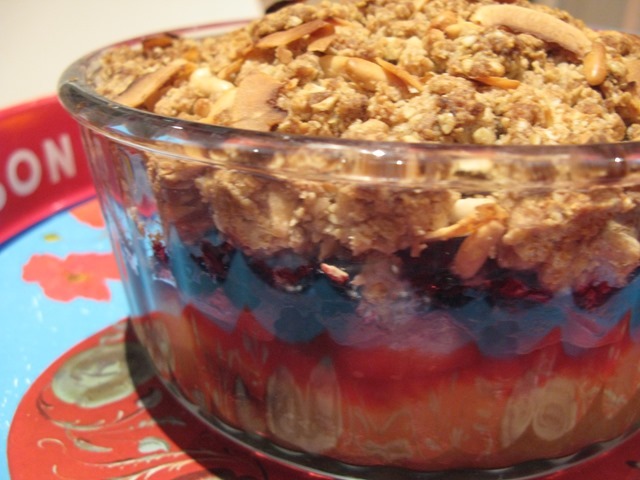 I want my crumble with at least an inch thick of topping and drowned to the eyeballs in custard. Don’t give me custard in a tiny china thimble, I will have a sense of humour failure. I’ve adapted the recipe a little, and added my killer magic ingredient, which is lemon zest. And then some coconut chips. I think this elevates the humble crumble to pudding nirvana. 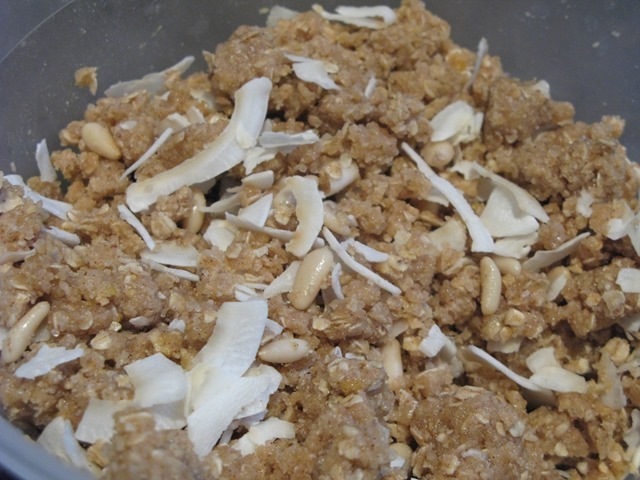 You can play around with the mixture, substituting ground almonds for flaked, or rolled oats for porridge ones etc – the texture will be a little different every time. 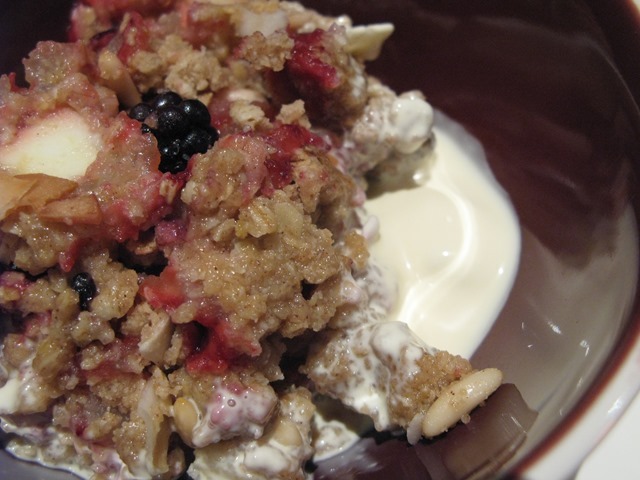 Note: if you make the crumble in smaller dish, you will have the privilege of eating an additional mug-ful of raw topping as there will be plenty to spare, and it’s completely addictive like crack. 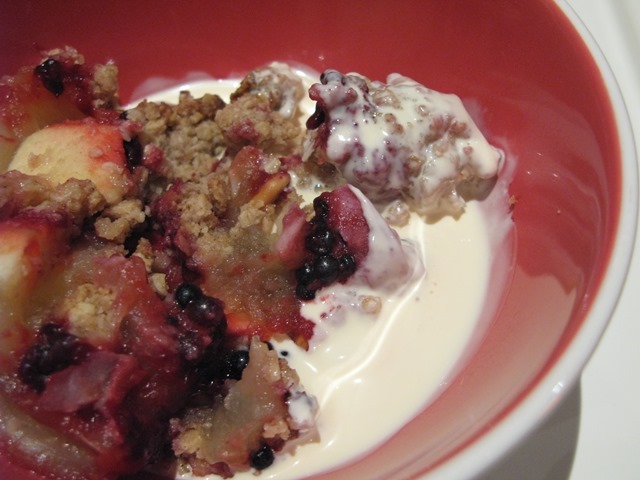 I ate a whole mug of it while assembling the crumble, then ate dinner and had a portion of cooked crumble for pudding. No wonder my jeans are cutting into me like a scythe. Preheat the oven to 170C. 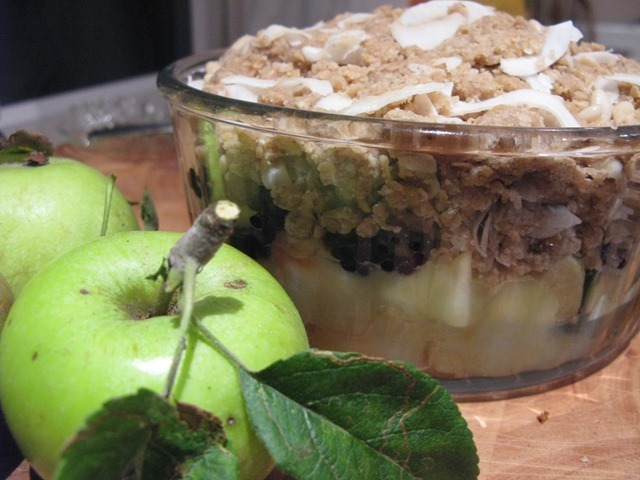 Lightly grease your crumble dish, then peel and chop the apples into medium sized chunks. 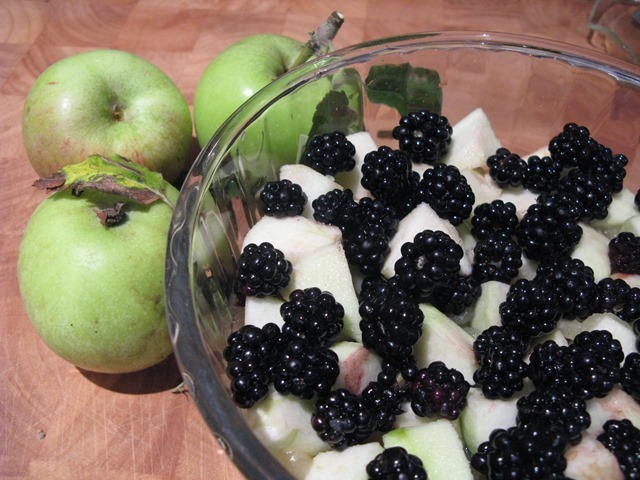 Place them in the base of the dish, then scatter over the blackberries. Sprinkle over a little bit of sugar if you like. I didn’t bother. Bake until the topping is starting to go brownish on top, about 40 minutes. Serve with cream (lashings of) or a lake of vanilla custard poured from an enormous jug. Leftovers are really good for breakfast! *I am slowly starting to overcome my aversion to pine nuts, thanks to J who gave me a bag of proper Italian ones last week, not nasty cheap Chinese imports, and no risk of getting the dreaded pine mouth. Thanks, J! Very glad to hear it. I ate crumble for breakfast yesterday. With clotted cream. Oops!